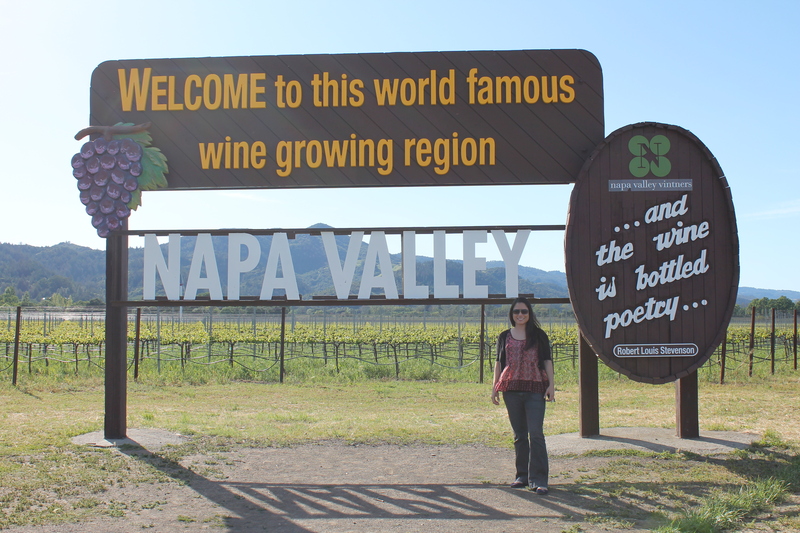 Posted on July 6, 2015 by E.M.
During my Spring Break I went to Napa again to visit a friend and look at more wedding venues. Of course, the trip was full of food and wine. Since it was my friend’s boyfriend’s birthday, we had a nice dinner at Bistro Don Giovanni, but before we had a wine tasting at Merryvale, checked out Tra Vigne has a possible wedding venue (it was the restaurant the fiancé and I went to for our first Valentine’s Day) and had a milkshake at a burger place across the street. I also scouted a cute schoolhouse for the wedding: super cute, but way too small. The next day I drove to Healdsburg in the Russian River Valley to see a wedding planner. She took me to a couple of different venues in town and then she became my designated driver in the area while we checked out all the different wineries: so pretty! My favorite was this modern one called MaCrostie. Unfortunately they were all too far and too expensive, so I don’t think we will be having the wedding there, but it was great to explore the area.